Battery management is a ‘high voltage’ topic. Here, we look at the ‘state of charge’. Efficient DC-DC battery management is essential in a caravan or camper trailer as voltage drop can be a major problem – particularly when off-the-grid for extended periods. 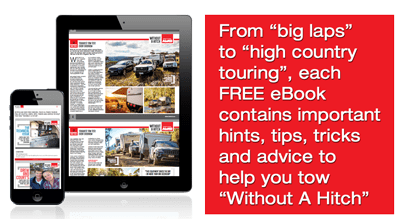 Even today there are misconceptions on battery charging, and that is a hassle given caravanners’ increasing reliance on 12V power. Thus the BMS juggernaut, with many utilising the latest technology in wireless battery management. WHAT IS A BATTERY MANAGEMENT DEVICE? A basic battery management device connects your auxiliary battery (or caravan battery) to your main battery and it ensures that the charges from the alternator will apply to the main battery and will not be shared with the auxiliary battery until the main battery is fully charged. It protects the voltage of your main battery so you can start up your car every single time even if you have heavy load on your auxiliary battery. An upmarket battery management device will come with the functionality of accepting charges from power sources other than alternator, such as accepting 240V AC power from the grid or a generator (works as a battery charger) or 12V/24V DC power from solar. Multiple sources can be connected to the battery simultaneously and it will choose the best charging method intelligently. This comes in really handy with campers that have multiple power sources on the vehicle. Batteries can be damaged if they are overly discharged on a frequent basis. Common lead acid AGM batteries have a rated cycle life of 500 at 50 per cent depth of discharge (DOD) and more than 1200 at 25 per cent DOD. This means, theoretically, when a battery bank is doubled in size, it will reduce the DOD from 50 per cent to 25 per cent and the lifespan of the batteries will extend more than twice! So what do we get? A battery system that costs less money in the long term and is also larger in capacity. Rule of thumb: If a battery bank goes down to 12V quite often, it’s time to consider increasing the capacity of the whole bank. Defining the amount of energy available in a battery is a complex task. There are many things to consider to accurately monitor the state of your batteries; battery age, discharge current and temperature all influence the actual battery capacity. SO I SHOULD SPEND MORE ON LITHIUM BATTERIES? Yes and no. Lithium batteries have improved storage capacity relative to size and weight. But they are expensive at the moment and they require specific charging conditions in order to operate correctly plus the battery itself must have an in-built cell management system. A battery monitor simply checks on the power stored – incoming and outgoing current and the state of charge for the battery. Without monitoring, batteries can be damaged through continual undercharging and/or over discharging. It’s highly recommended to install a battery monitor that displays not only the battery voltage but also the live current draw, amp hours charged and consumed, and the estimated state of charge of the battery. With these parameters, a good insight is gained of the operation of the energy system; thus enabling energy smart decisions such as turning off loads that are not in use or replacing devices that have high energy consumptions. HOW DOES MY BATTERY GET CHARGE? A battery is charged by connecting it across a source that has a higher voltage. The rate at which it charges depends on how much higher the applied charging voltage is than the battery that is being charged. Ideally, that voltage needs to be up to 20% higher, but there is a limit as to how high this can be when charging from a car system as the optimum charging voltage is too high for the car’s own electrical needs. So, as in many such situations, one ends up with a sub-standard compromise. In this case, it’s a vaguely foolproof system that works well enough for the RV and its battery, but less so for charging auxiliary batteries, and a great deal less so if such batteries are in a caravan on the other side of the ‘Black Stump’. WHAT ABOUT MY CAR ALTERNATOR? WON’T IT DO? Rarely acknowledged is that at no time does the alternator know, or care, about the battery’s state of charge. The alternator blindly attempts to churn out a constant voltage. The charging battery’s voltage rises toward that fixed charging voltage, with the charge tapering off as it does. It’s a bit like drinking from a reservoir – you stop when you’ve had enough. For a charging battery, starter or auxiliary, “enough” tends to be little more than 70-75 per cent of full charge after a few hours’ driving. The limitation is that a battery below a remaining 20 per cent charge is effectively dead. Further, it may have a life of only months if discharged repeatedly below about 40 per cent remaining charge. Battery makers typically quote 50 per cent. Thus, if a battery is charged only to 80 per cent and discharged to 40 per cent, only 40 per cent of its nominal capacity is available for use. Batteries in caravans may not even reach 65 per cent charge. The reality is that even if batteries are almost driven into the ground when discharged, the loss of capacity is greater than you’d think, unless they are fully charged. Now to so-called voltage drop. You’ll get a feel for this when you water the garden: the pressure at the end of a hose is a great deal less than at the tap – the thinner and longer the hose, the lower the pressure at the far end. Electric cables oppose the flow of current and lose electrical pressure (voltage) in much the same way. Run too thin a cable over any distance and voltage is lost along the way. Enter the DC-DC revolution, not just due to the RV need but also because of the growing demands placed on the vehicle electrical system. Today, even low-priced cars have more computing power than had early spacecraft. Their vehicle electronics are rugged enough, but typically require 13.8V to run, and some only 13.5V – far too low for charging. And they require that voltage to be stable. Further, adding an auxiliary battery bank may not necessarily cause problems, but is all but certain to be blamed if things go wrong. It may also invalidate the warranty. The solution, the so-called DC-DC charger, is a box that is perceived by the car’s electrics as simply another piece of add-on kit, like a ‘doop doop’ sound system or a pair of spotlights. This box electrically isolates the auxiliary battery from the alternator, compensates for any (reasonable) voltage drop and converts whatever comes in to the optimum charging voltage and regime for any specific size and type of auxiliary battery. Whereas many other so-called solutions fix only marginally more problems than they introduce, this one really is a genuine technological breakthrough. In one go, it solves most of the electrical problems that have plagued caravanners for close to a century. In particular, it finally enables caravan batteries to be properly charged, and their fridges to work at a capacity a lot closer to that intended for them. Some DC-DC units provide these adaptations. 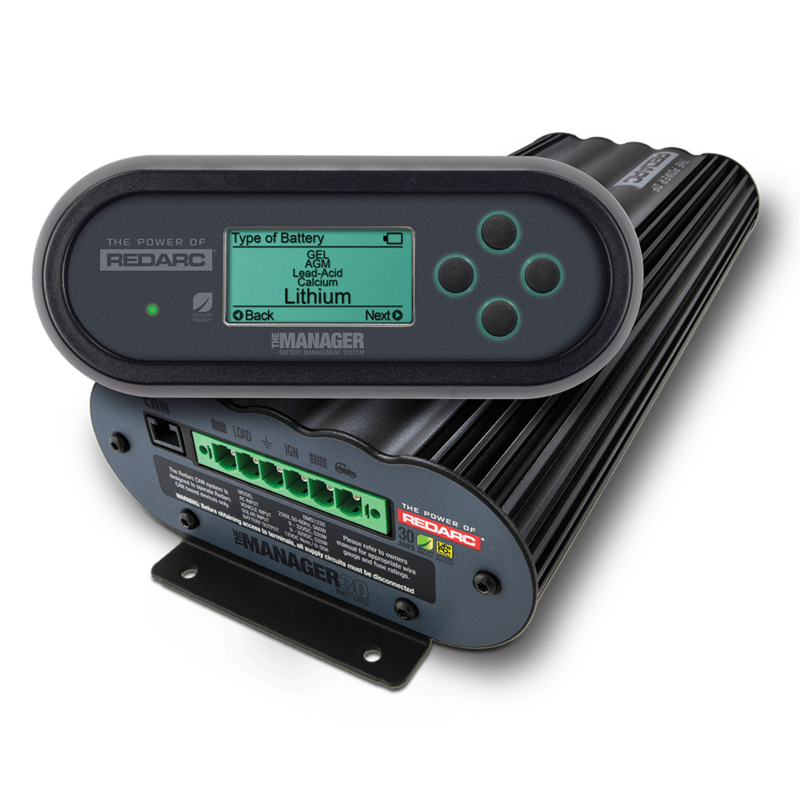 More sophisticated battery management versions, such as Redarc’s BMS1230 series, also have inbuilt solar regulation, multi-stage mains battery charging and remote readout. This simplifies adding solar and increases reliability by combining functions. This is because most electrical troubles are caused by poor connections and/or lack of 100 per cent compatibility. Now, many external connections are eliminated, and compatibility is built in. If a vehicle has solar modules, the Redarc unit, for example, will automatically select whichever source (alternator or solar) provides the greater charge. DC-DC charging solves so many problems in one go that the industry should regard it as the preferred method of connection for any application where an alternator-connected battery needs to be charged fully. It should also be seen as the routine way of connecting any battery mounted in a caravan or camper trailer. 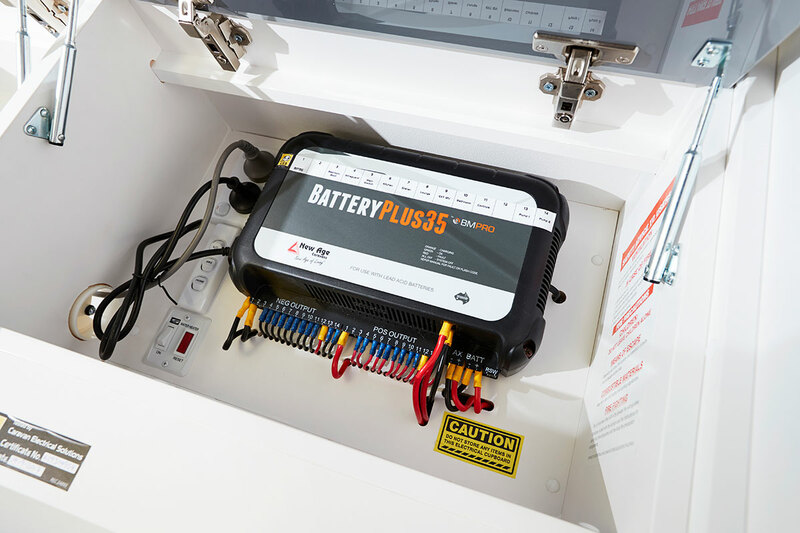 Redarc’s Manager30 (BMS1230s2) is a state-of-the-art battery management system that is ideal for recreational vehicles, caravans and camper trailers with multiple battery banks. It comes with a lithium profile enabling you to charge the new wave of LiFePO4 batteries (lithium iron phosphate) as well as traditional lead acid, gel, calcium and AGM batteries. You can keep your auxiliary batteries charged from 240V mains power, your car battery and solar panels. And it is rated at a big 30A so it knows how to take charge. 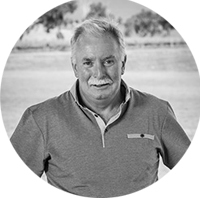 Designed and manufactured in Australia for Australian conditions, using the latest electronic and design technology, the Manager30 will get you to where you want to go – and back again – with complete confidence. Manages inputs, whether solar, vehicle via Anderson plug, 240V lead or generator. Can work with a combination of these… It also handles maintenance. Manages outputs, organises power leaving the battery, whether from one battery or two (or more). Can set minimum voltages cut-off etc. Battery charger, so comes with a 240V lead – plug this into a power cord, and it will distribute the right amount of charge to the right batteries. BC-DC charger, so delivers the 14.5V, that the modern AGM style batteries need to be properly charged. Provides real time data on everything going on, in and out… It does this by measuring current in both directions. Solar regulator… Most solar panels these days come with a regulator, but you could buy unregulated solar panels, and connect to this. Additionally, the built-in Maximum Power Point Tracking (MPPT) solar regulator allows the Manager30 to deliver the maximum amount of power from portable solar panels, even during low light conditions. 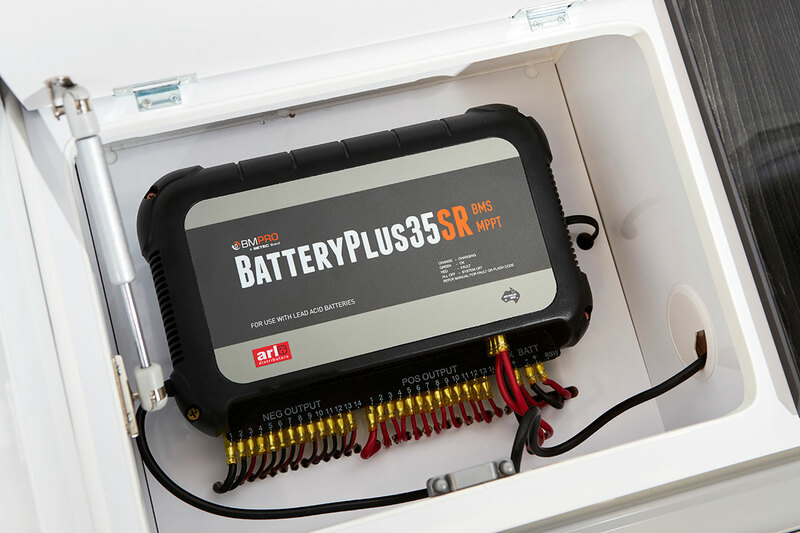 Leading RV power management specialist BMPro has the BatteryPlus35 suite including the BatteryPlus35SR, a revolutionary battery management system designed to offer a complete power solution for recreational vehicle applications. With unique properties including a built-in distribution board with multiple DC outputs for load connection, this power supply and charger is the ultimate all-in-one system. BMPro’s BC300 & CommLink also create a 300A ‘external shunt’ which communicates via Bluetooth to the BatteryPlus35. This allows for items up to 300A to be connected to the battery while still providing important battery information to system for effective management of the batteries. It then allows for correct battery information being displayed on the control screens. WHAT SETS THE BMPRO APART? Key features include: wireless communication taking advantage of advanced Bluetooth Low Energy technology; simple installation and pairing procedure for end user installation; powered by the BatteryPlus35/J35 CAN bus and requiring no additional wiring; and battery properties monitored – voltage, current (charging/discharging), energy usage (Ah) and temperature. Meanwhile, BMPro’s Genius is also a revolutionary battery management system designed to offer a complete power solution for caravanning applications. Designed and manufactured in Australia, the slim and sturdy Genius is fully equipped to charge the current generation of deep cycle batteries. 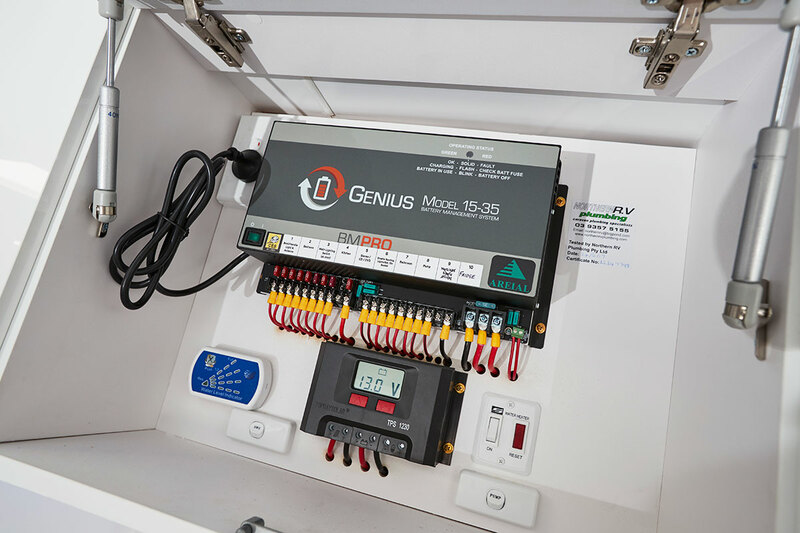 The Genius has a range of battery protection features including reverse battery protection, battery current limit, over voltage protection, voltage current limit and fuse protection. The low voltage disconnect facility protects the battery against excessive draw. This device also hosts a thermally controlled fan to make sure that noise levels are kept to a minimum. Key features include: various charge modes; safe, flexible and reliable; battery protection features including – reverse, current limit, over voltage, voltage current limit and fuse protection; compatible with all lead acid type batteries; distribution board; auxiliary input and fault indicator. Enerdrive has a range of battery monitors – plus battery chargers – that accurately read your battery bank like a fuel gauge as well. Using a clear backlit LCD Display and an intuitive user interface, all parameters can be recalled with just a button press. A second battery input is also provided to monitor voltage on a second battery. The eLITE Battery Monitor by Enerdrive is equipped with an internal programmable alarm relay, to start a generator when needed or to turn off devices when the battery voltage exceeds programmable boundaries. Enerdrive battery monitors give you a smart, precise status of your batteries at a glance. There’s an Enerdrive battery monitor to suit any battery system: eLITE Battery Monitor, ePRO Battery Monitor & ePRO-HV Battery Monitor. Enerdrive’s eLITE and ePRO battery monitors will selectively display voltage, charge and discharge current, consumed amp-hours, remaining battery capacity. The ePRO Battery Monitor also displays the time remaining of your battery bank. Additionally, Enerdrive’s range of battery chargers are designed to meet the rugged demands of Australian conditions while delivering multiple source charging for DC systems. The Enerdrive ePOWER DC2DC+ Battery Charger is a fully automatic multi-stage, multi-input battery charger with the ability to charge from either an alternator linked to a battery; or via solar power with the in-built Maximum Power Point Tracking (MPPT) Solar Controller. With two inputs available, the main/house battery will be charged from either the engine while underway, or via the solar panels when stationary. The process to choose either engine or solar is fully automatic and both functions are controlled from within the unit itself without the need for external relays. SO THE DC2DC+ IS THE FULL PACKAGE? It can do a lot, yes. During normal operation the ePOWER DC2DC+ Battery Charger will do a full charge cycle to float stage on the house battery bank with ability to choose either GEL, AGM, Flooded, Custom Programmable or Lithium. Once float stage is reached the charger transitions to a power supply mode to support any on-board DC loads. It also is a fully automatic, set and forget charger, and designed to quickly and accurately recharge your deep cycle batteries utilising charger algorithms that help to maximise the life of your specialised deep cycle batteries. And it features multi-stage smart charging technology that enables the charger to be connected to your battery bank permanently. With the input of multiple sources, you can be assured of charging your batteries whenever underway; or when the sun is shining on your solar array. As dictated by battery manufacturer’s recommendations, deep cycle batteries require a multi-stage charge sequence for perfect, fast and accurate charging. Stage 1 – Bulk or Boost charge; The battery is charged at full rated output current of the charger until the battery reaches its final charging voltage, known as its absorption voltage. In this step, around 80 per cent of the battery is recovered as fast as possible. Stage 2 – Absorption charge; With the charger voltage held steady, the remaining 20 per cent is replaced with the charger allowing the current to taper off as the battery approaches full charge. Stage 3 – Float;Finally, in the float stage the charger voltage is lowered and held at a constant and safe predetermined level. This prevents the battery from being overcharged, yet allows the charger to supply enough current to make up for the self-discharge losses of the battery, while supporting any additional loads connected to the battery (such as DC lighting and refrigerators). This stage allows for the charger to be used as a DC power supply. The ePOWER DC2DC+ Battery Charger will regulate its output based on the loads connected to your battery bank. This function is important to maintain the life of your battery bank as some battery chargers mistake loads for discharge and continue to keep the batteries in the bulk or absorption stage for extended periods of time, which will damage the battery bank. It has two methods of load based regulation to ensure your battery charger transitions to float when it should do so. THERE MUST BE MORE OPTIONS? 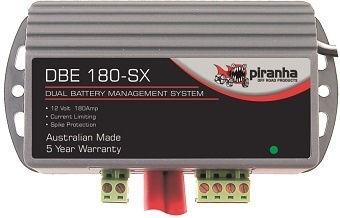 Piranha Off Road Products has a dual battery management system – the DBE180-SX. This electronic isolator is a 180A unit with full spike and surge protection and solar input to charge the auxiliary battery. With a plastic/nylon case, sealed relays and special coatings to resist corrosion and water damage, this is the toughest isolator Piranha has ever built. The DBE180-SX is an ignition sensing isolator and is ideal for touring vehicles with multiple batteries or for those vehicles needing to provide charge to batteries in camper trailers or caravans. VPF – Vehicle Protection Function protects against overloads and faults. Other advantages are its state-of-the-art electronics, user-friendliness and convenience. Fully automatic operation using advanced electronics and high performance relays. The electronics are rated for tough 4WD conditions and the relays are sealed against dust and moisture. High accuracy electronics manage the auxiliary battery for both effective charging and safe starting. The main starting battery is always protected and cannot be drained by a load connected to the auxiliary battery. Electronics are factory calibrated – no adjustments are required for the life of the unit. Efficient low power design offers maximum charging current for the auxiliary battery. Improved electrical spike and surge protection. simple to install. All wires, including two 3m heavy duty high quality heat and oil resistant cables with built in strain relief are provided.